A uniquely American take on the French St. Marcellin, St. Albans takes its name from the town of St. Albans, Vermont and recalls the Creamery’s longstanding partnership with the St. Albans Cooperative, longtime producers of our high-quality cows’ milk. It is our first non-GMO Certified cheese as well as our first cheese made with 100 percent cows’ milk. Hand-shaped and aged for eleven days, these delicate cheese disks are packaged in sturdy ceramic crocks and wrapped in a breathable, perforated film. Even after packaging, St. Albans unique, wrinkled rinds continue to develop; the paste of the cheese becomes soft and spreadable, while the flavor becomes more robust. The crock serves as an ideal vessel for baking; warm St. Albans in the oven for a decadent, silky fondue and serve with sliced baguette or roasted fingerling potatoes. A double-cream blended cow and goats’ milk cheese with a hint of cream. 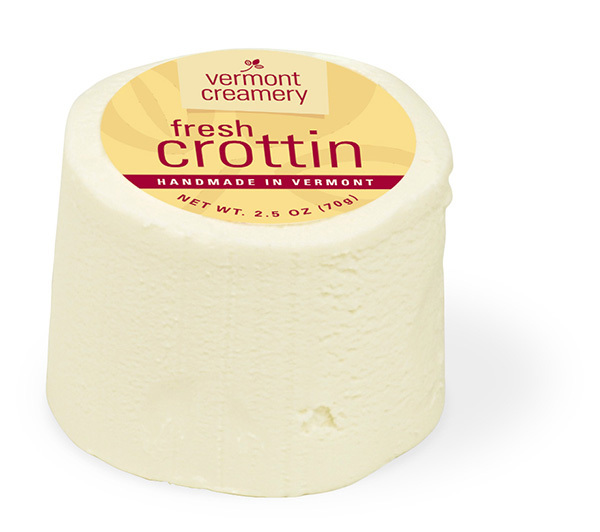 Soft ripened cheese made following the traditional French crottin recipe. American Original goat cheese with a dust of ash on the top and a fresh milk taste. Mild, fresh goats’ milk flavor. Available in Classic, Three Peppercorn, Herb de Provence, Cranberry Orange & Cinnamon. Available in: Apricot & Thyme, Cranberry & Tarragon, Tomato & Basil or Classic. There are no mold inhibitors or anti-caking agents like cellulose so there isn’t a “dry mouth feel” like that of other crumbles. These crumbles are perfect for salads, pasta dishes, pizza topping, gratin or grab and go prepared meals. Available in three flavors: Classic, Roasted Red Pepper, and Olive & Herb, mild, creamy, fresh goats’ milk flavor. 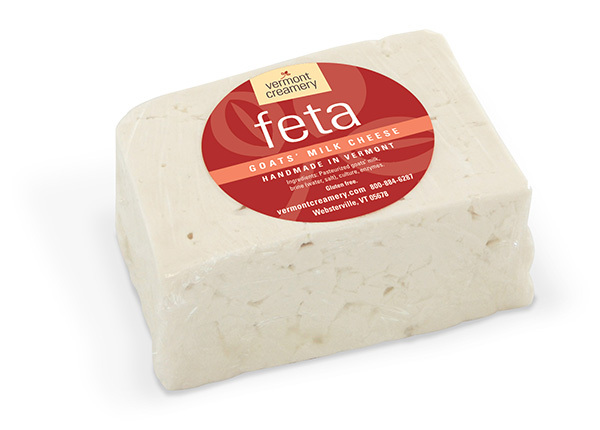 Made in the traditional Greek style, lower salt brine enhances mild, fresh goats’ milk flavor.